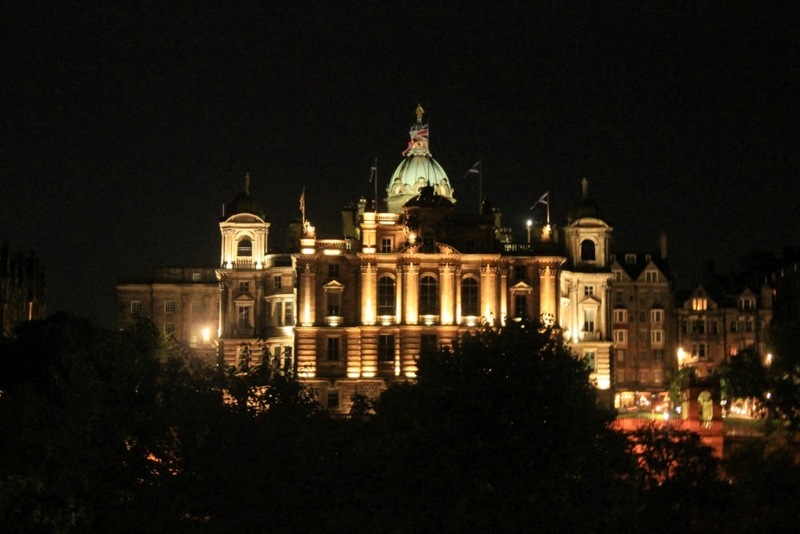 Continuing the photos of our European Adventures, September 2014. 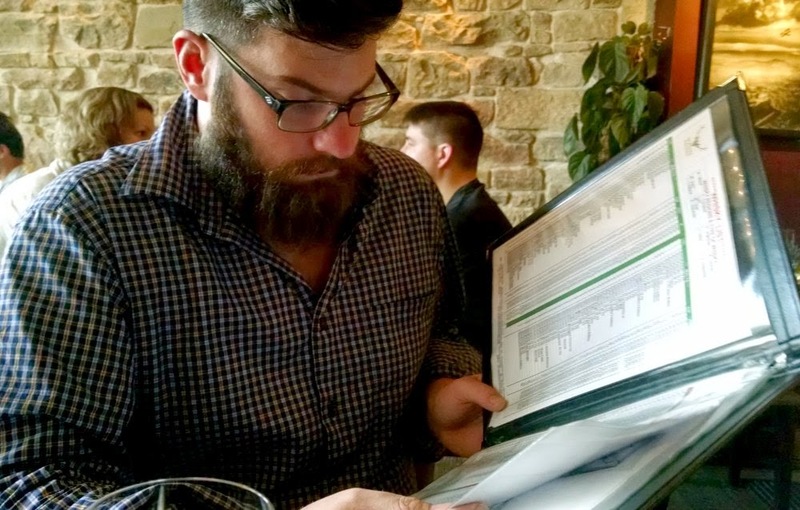 After a week in Ireland, we took a very short flight over to Edinburgh, a town we originally planned to visit just so The Beard could have his fair share of whiskey (whisky) tastings. It ended up being our favorite stop of the trip, and someday, I promise, I will go back. The view from our apartment window. 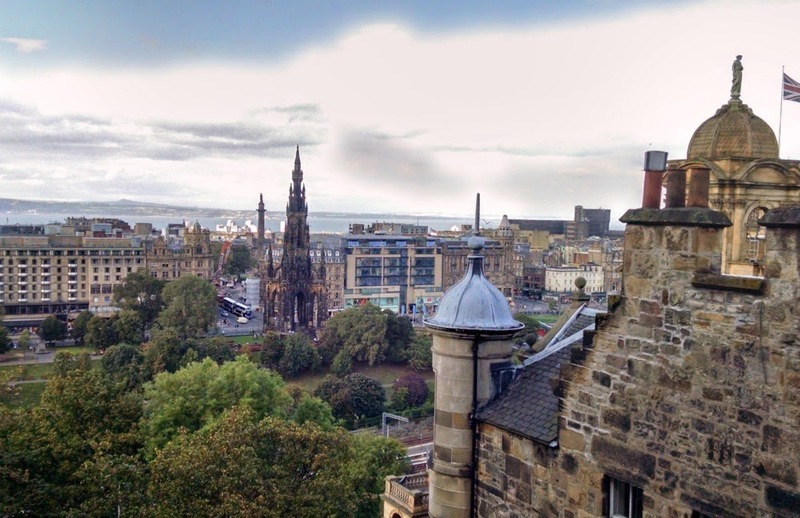 I only had to lean out a semi-dangerous amount to be able to see the Sir William Scott monument (the spire-like building just to the left of center). Our first meal was (shocking, I know!) whiskey with haggis, neaps and tatties, not pictured, with whiskey, also not pictured. But it was delicious. Perusing a whiskey menu the size of most diner menus in the U.S. at Whiski Rooms (near The Mound--great food, great whisk(e)y offerings). Cider seemed the smartest choice for a tour with 6+ pub stops. 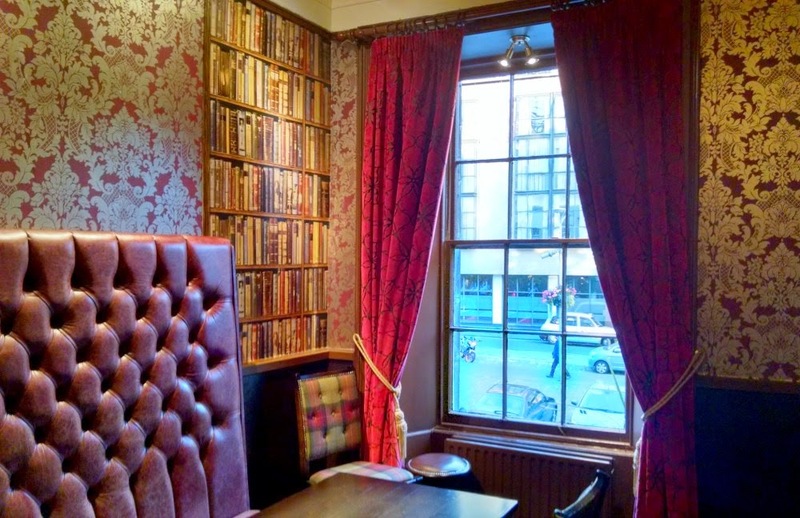 Also, if you're in Edinburgh, The Edinburgh Literary Pub Tour was great. 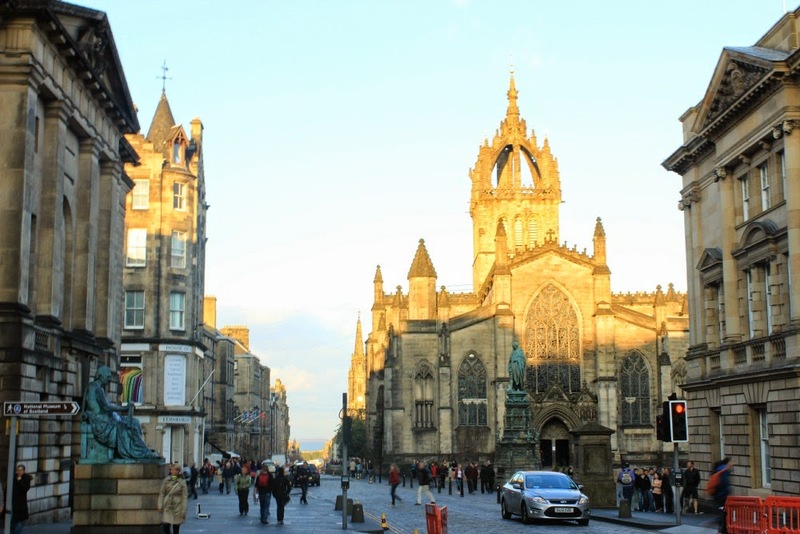 Good entertainment, good trivia, good tour of Edinburgh and its literary history. And the last stop of the night, The Queens Arms in New Town. Slightly blurry photo taken by a slightly tipsy (very nice) friend from the pub tour. Seeing as I could barely keep my slightly tipsy eyes open, off to bed we went. But look at the view on our walk home! The Queens Arms is one of my favorite pubs! I've still not gone on a literary pub tour. Tell me what secrets there are about the Queens Arms so i can impress my friends the next time I'm there. 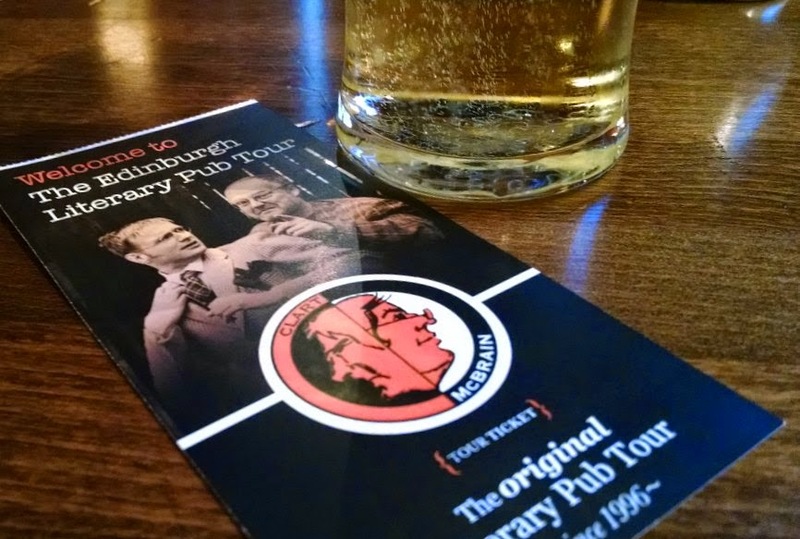 I've never been on a literary pub tour, but it sounds like a must do! 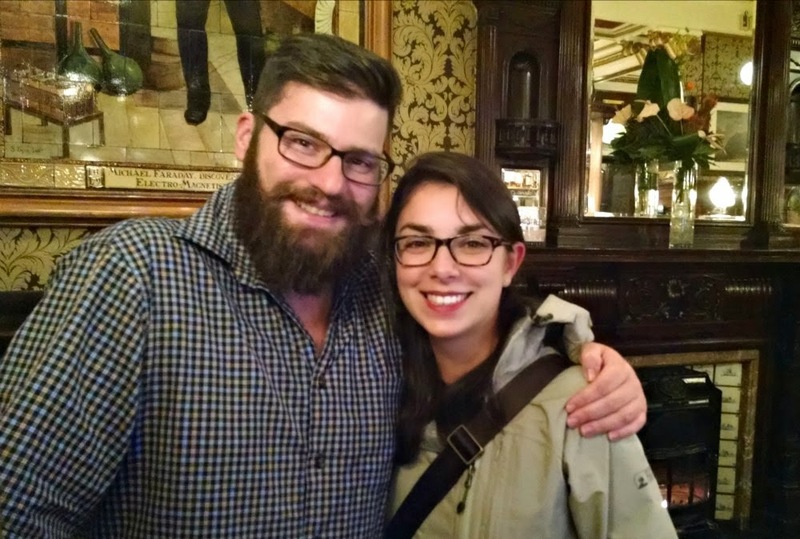 Whiskey and literary pub tours?! I need to find my way to Edinburgh. Gorgeous! 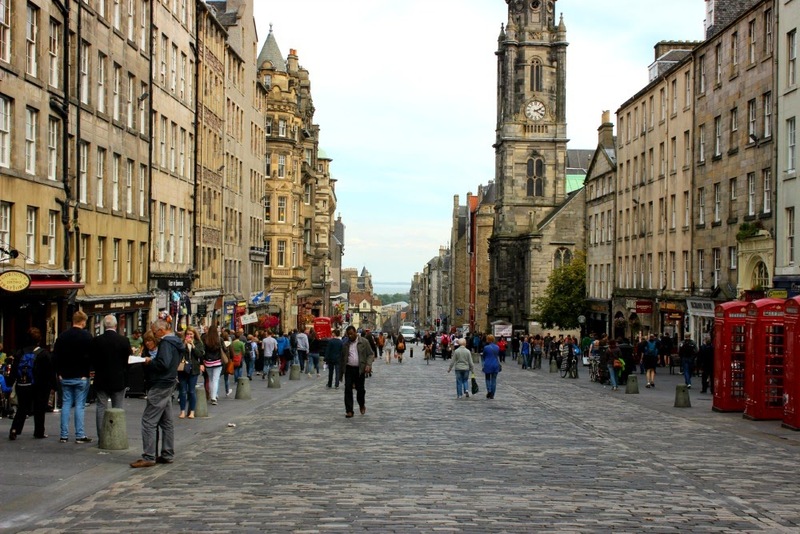 I can't wait to go to Edinburgh someday! It is beautiful. And great whiskey never hurts! Well, it does hurt the next day when you drink too much of it. We did a few on our trip and they were a blast--fun ways to see the cities we visited. Here's the only problem with that: I had too many beers/ciders to remember the trivia by the time we got to the Queens Arms! OK, that's it. I need to get myself to Scotland, stat. We basically only went because my husband loves whiskey, and it ended up being our favorite stop of the six cities we visited over the course of our trip. I want to go back SO badly.